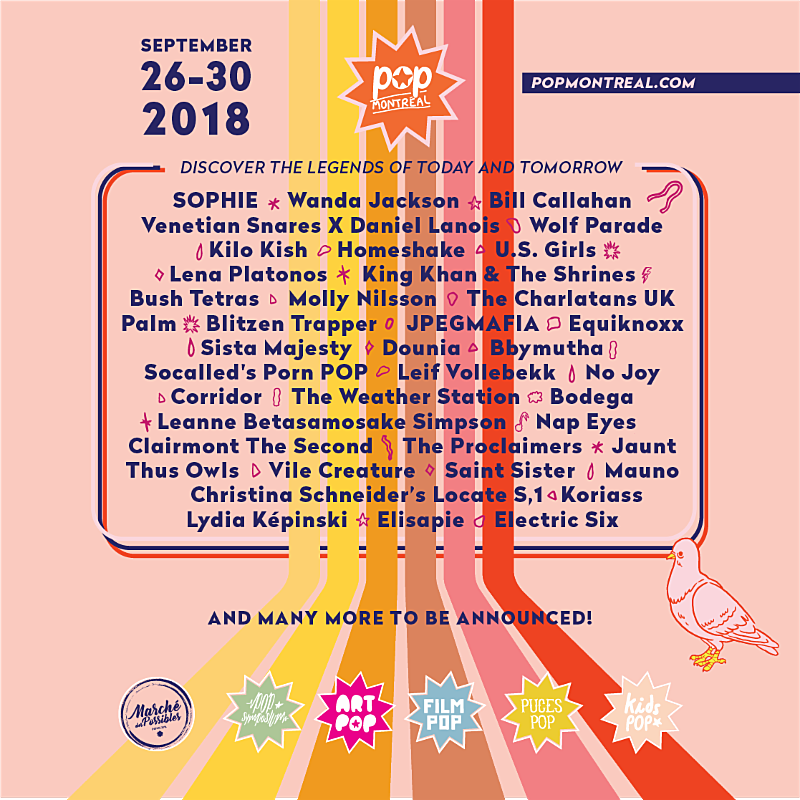 The 2018 edition of Pop Montreal happens September 26-30 at venues all over the Canadian city. The first wave lineup of artists has been announced and includes Wolf Parade, U.S. Girls, SOPHIE, The Charlatans, Bill Callahan, Wanda Jackson, Bush Tetras, Bodega, The Weather Station, Blitzen Trapper, The Proclaimers, Venetian Snares X Daniel Lanois, Nap Eyes, Homeshake, King Khan & the Shrines, Molly Nilsson, No Joy, Electric Six, Corridor, JPEGMAFIA, and more. Pop Montreal is a very fun, laid back festival that always manages to include interational aritsts while still feeling like a showcase for their city’s best musicians. There’s also includes seminars, panel discussions, film screenings, and more. Discounted Discovery Passes are on sale now, and the full First Wave lineup is listed below.